The National Museum of Scotland has in its archives the remains of a basket which was found preserved in a bog in Eshaness in Shetland. 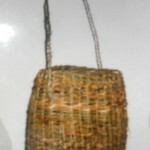 It has been dated as being around 1500yrs old and is thought to be the oldest basket found in Scotland. Alisdair Davidson made a replica of this for what was the Royal Museum in the 1990’s. 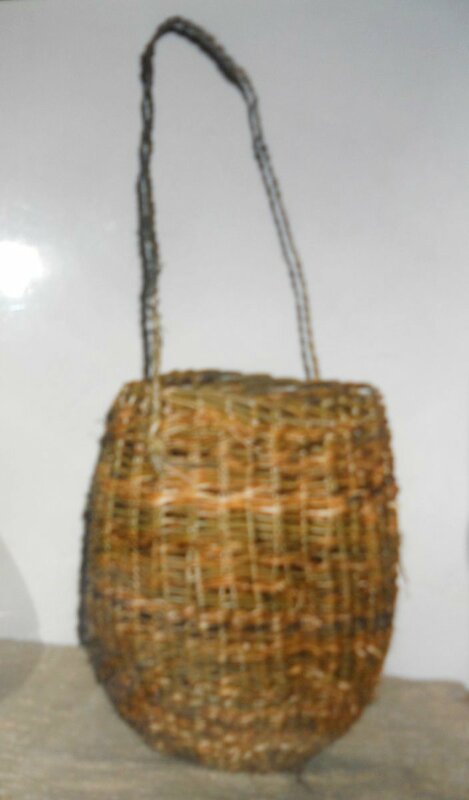 The original basket was found in the 1920’s. It was made from willow and at this time it was described as being 14 inches (36cm high) (1). Copy of note made about basket when originally acquisitioned by museum.